Despite continued high prices for homes, average home sales during the last quarter of the year, especially during the month of December, tend to dip slightly compared to warmer months, according to U.S. Census data. 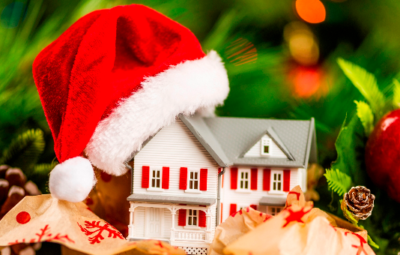 For determined buyers house-hunting over the holidays is the perfect time for several reasons. 1. Serious home sellers. Sellers who are actively looking to sell their homes during the holiday months (October through December) are serious about shedding the weight of their residences. Their homes are priced to sell which often works in favor of savvy buyers. 2. Sellers will want to close quickly. Everyone wants to wrap things up before the holidays – sellers, agents, banks. You are likely to find that people are willing to work with you to get things moving along. 3. Less competition. Having less competition on the buyer’s side can mean lower prices on homes, in addition to fewer counter-offers to compete against. Without as many buyers eyeing a potential new home, shoppers have a greater likelihood of keeping savings on their side by avoiding bidding wars consistent with multiple buyers interested in the same property. 4. Greater accessibility to professionals. Since December is usually a slower month all around, chances are you will have easier access to movers, inspectors, and mortgage brokers. 5. You might get a lower interest rate. Interest rates on mortgages and loans go through swing cycle. Typically around the holidays, they hit a lower point because fewer people are looking to borrow. Get in touch with the bank early to ask about rates, and be willing to watch the trends to jump on a mortgage at the best time. Also, keep in mind that banks will be closed more around the holidays, so do the majority of your preparation a little bit before the prime holiday season. According to the most current real estate data research, the best time to close on your St. Petersburg property is during the month of December. Since it generally takes about three months from list to close, if you list your home in October you could sell it 5.8 days sooner than if you listed in any other month. Bottom Line: If a person has his/her home on the market over Christmas, that person is definitely serious about negotiating and selling that home. You can bet on it. And, with fewer client demands over the holiday season, real estate agents will gladly provide service and share your desire to get the transaction done and in the books before the New Year rolls around. The same holds true with mortgage brokers who are bound to speed your closing through.